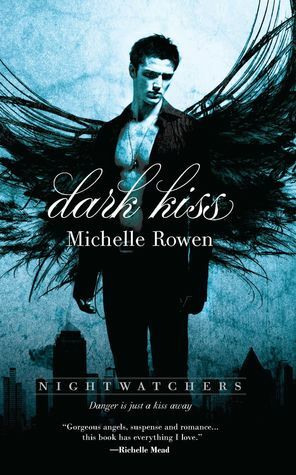 I have to give it up to Michelle Rowen; she can make waiting for a single kiss the hottest thing ever. The majority of the novel has protagonist Samantha doing everything she can to keep from kissing people. It is the desire and the danger that lies with a potential kiss that will keep you turning the pages of Dark Kiss. Samantha has been turned into a gray. She has no idea what this means, because the boy she’s crushed on forever didn’t explain a thing before he gave her the hottest kiss of her life and took her soul at the same time. Now she has an unyielding hunger to kiss others, and it just doesn’t make sense. Other grays may be giving in, but somehow she can resist it. When she meets Bishop, she just thinks he’s a slightly crazy hottie. He knows more about her than she does, and the angel’s mission on earth means he might be her enemy. Rowen’s characters are well developed, and I truly liked Samantha. She makes a handful of not-so-smart decisions, but they feel right for her. Bishop is delicious and tortured and complicated and … well… there is no way you will not want to kiss Bishop. Really. Some of the elements of this one — angels, demons, souls on the line — reminded me of Lisa Desrocher’s Personal Demons, but better done. If you enjoyed that book, you will love this one. If you like the long tease and heroines fighting against what they may become, Dark Kiss will be a win for you. I liked it and will be game to read book two. Sounds like it’s going to be excellent. Thanks. then why only 3.5 stars?